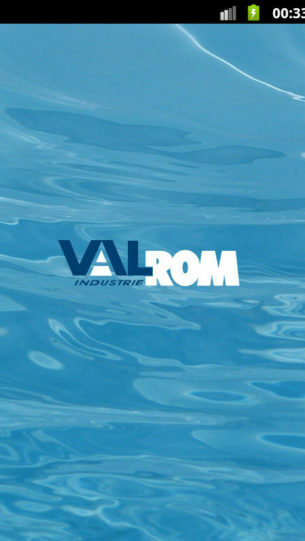 Valrom Valweb is aimed at the purchase of well-known, comprehensive water, gas and sewage solutions and systems with a simple-to-use Android app. 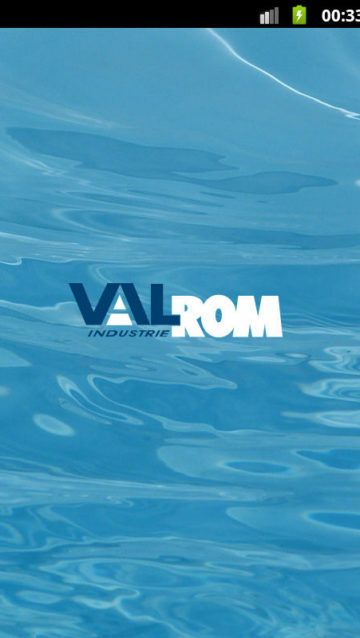 Valrom Valweb is aimed at the purchase of well-known, comprehensive water, gas and sewage solutions and systems with a simple-to-use Android app. 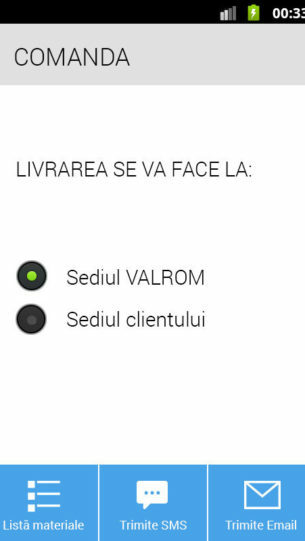 Valrom has an established national distribution system, with storage facilities and retail stores spread throughout the whole of Romania. 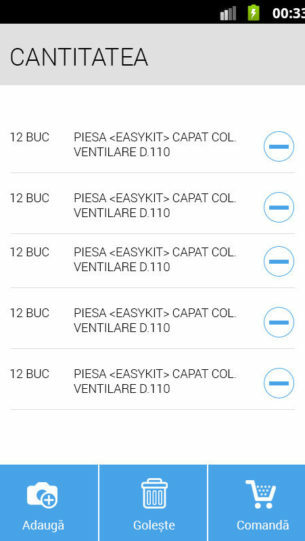 The app allows you to purchase water, gas and sewage solutions with minimum effort. 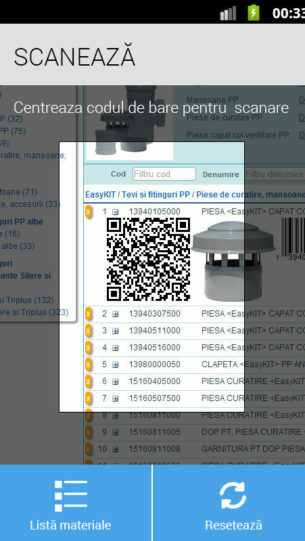 QR scanner fully integrated for custom QR-barcodes. 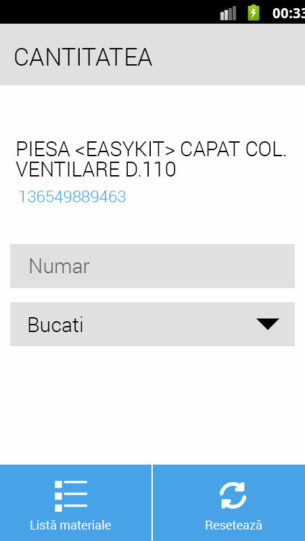 The app uses its own scan library and does not force the user to exit the app in order to scan a code. 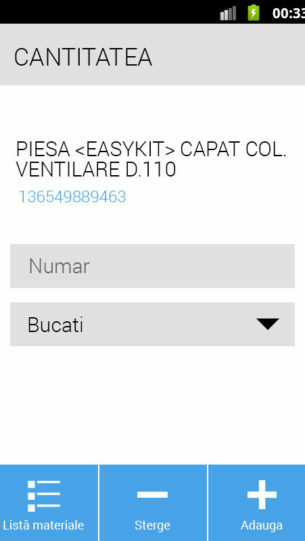 Highly optimized for fast categories and multiple-size input. Chart functionality with support for unlimited products. Order via email or SMS using a special messaging format.